After many years of never owning a practical every day vehicle I decided to to take the plunge and buy one. 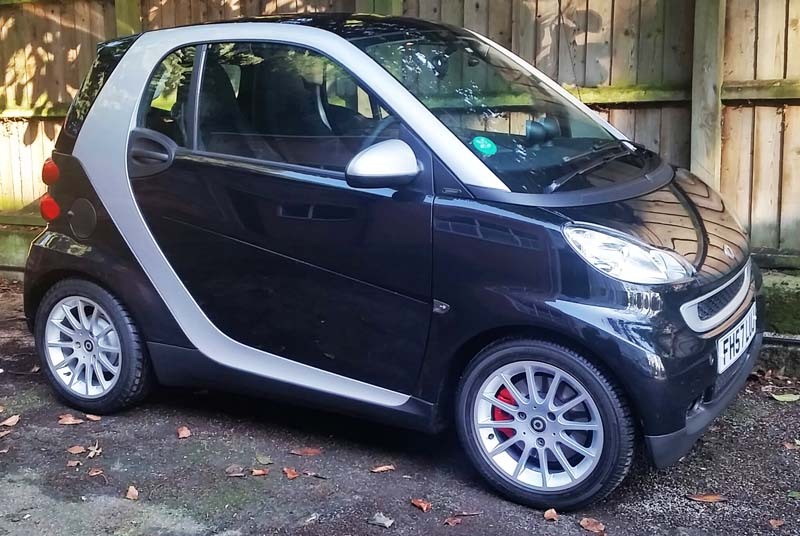 I can’t remember exactly the point i decided this was going to be a Smart Car, but I have really fallen for my second gen go cart. It ticks a whole load of boxes. There is every chance I will be able to tow it behind the camper. As you can see from the extensive list it fits into my lifestyle perfectly. 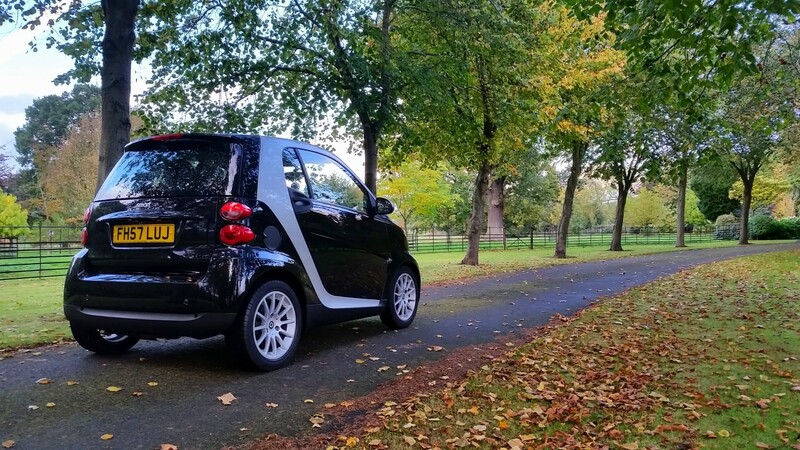 I knew little about the ForTwo range of Smarts before I bought mine. I preferred the look of the older 450 when I was looking, but the 451 i brought came up for sale a few miles away from home, so after a short test drive I made the decision to buy based on the low mileage and full service history. Fortunately, the particular model I brought was the more powerful (84bhp) 1 Liter Turbo. This proves very fun to drive. One other thing to mention is that this particular model was superseded after less than two years of production for a Micro Hybrid (MHD) version that had Start, Stop technology to make it more environmentally friendly when sitting in traffic. However, these can be very expensive to fix if a belt snaps which in turn causes the engine to cook. So all in all, this model is the model to have, with all the advantages of quick engine, with none of the headaches that come with the later model. So the verdict after owning this car for a few months is I am still loving it. I have given it a service which included a performance air filter. I have also lowered the rear suspension (Front to be done also at some point in the not too distant future), and perked up the front calipers with a coat of red paint. 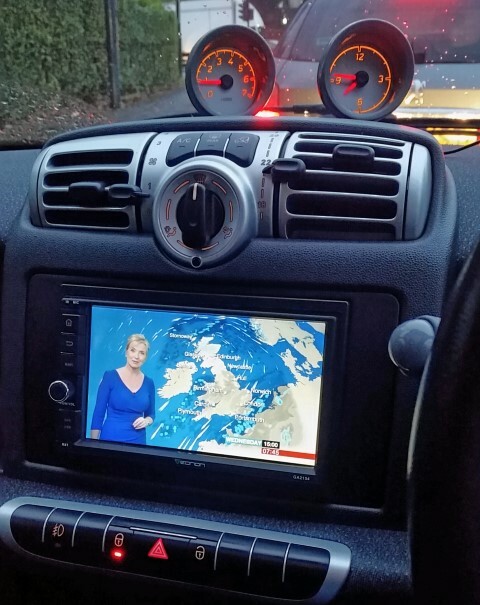 I’ve also upgraded the stereo for a double din android stereo and fitted an Italian leather steering wheel cover, added a glove box and the optional cup holder. I’m hoping it will be my everyday run around for a few years to come ;).